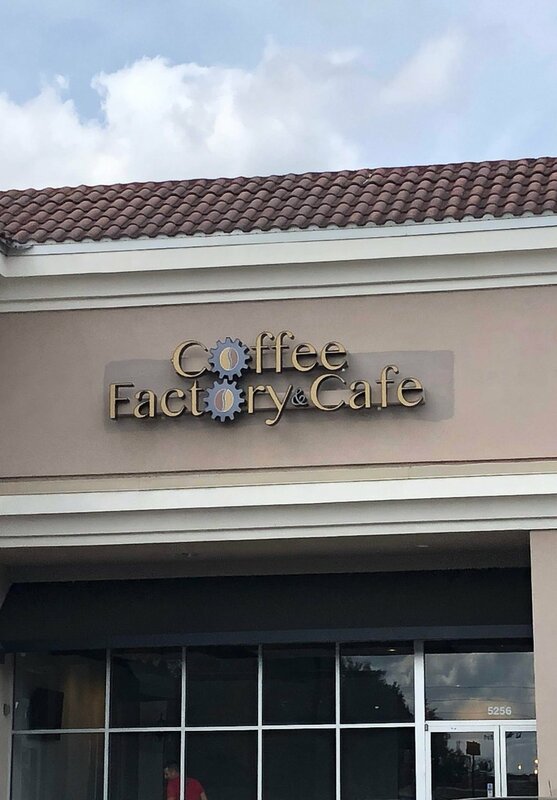 We’ve had coffee at the Coffee Factory & Cafe a few times, but over the weekend we decided to try it out for lunch. 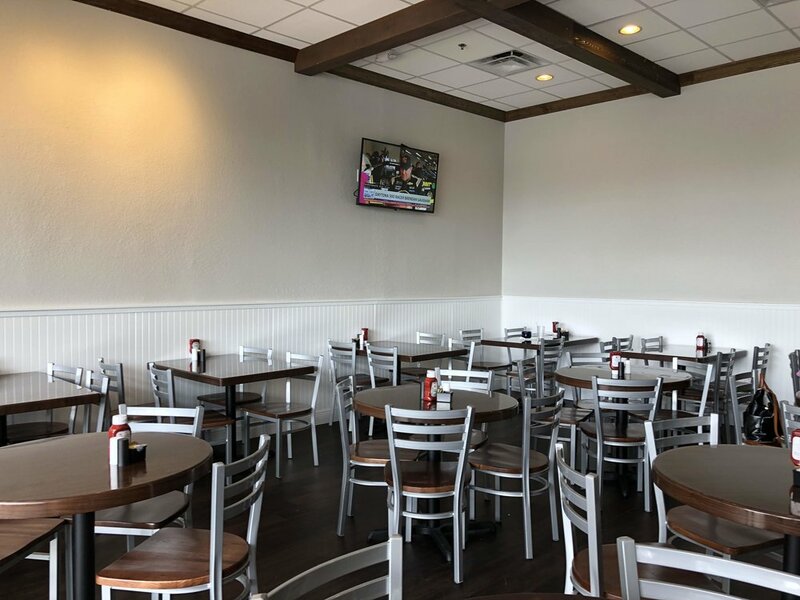 When you walk in you can seat yourself if you are dining in or order to go at the counter. They have plenty of four top tables that you can easily push together for a larger group. The space is bright and inviting, and the staff is very friendly. The coffee menu is incredible. They have basically everything. 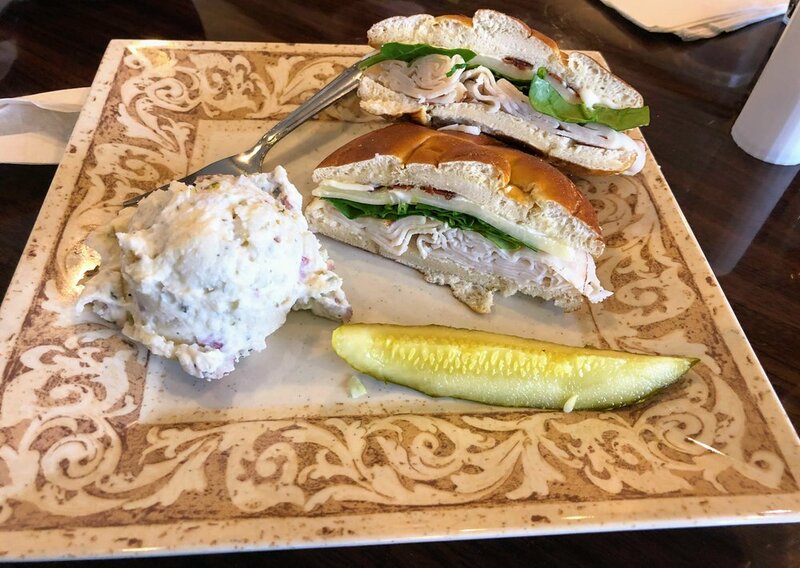 The lunch menu includes sandwiches, salads, wraps, and soups. 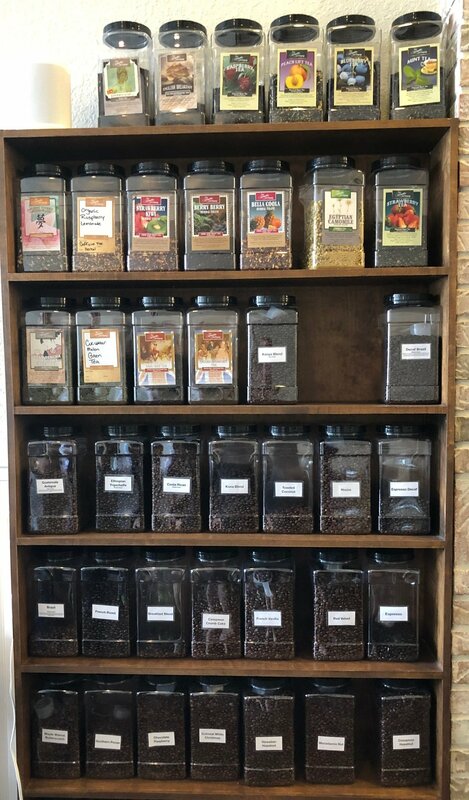 If you aren’t in the mood for coffee, they also have Coke products and a huge assortment of teas. 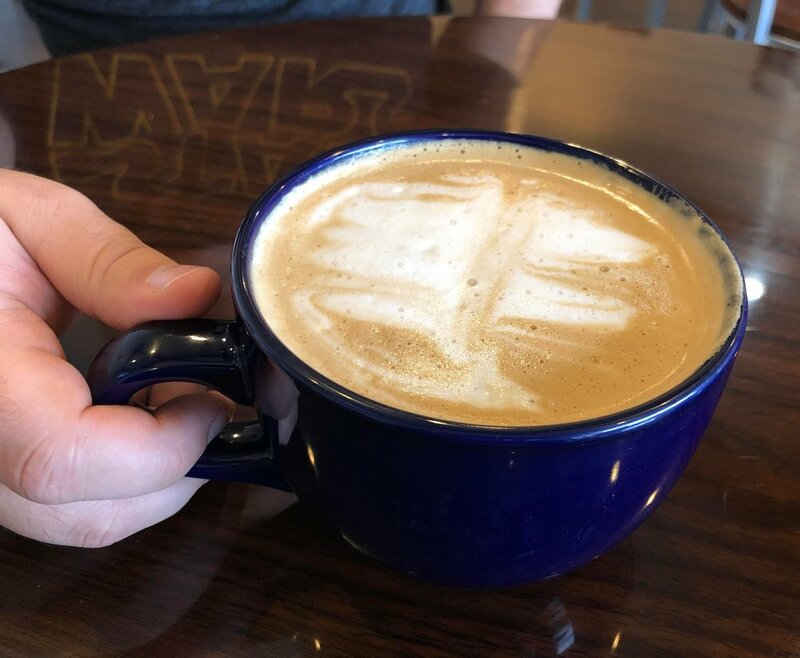 We tried the butta’ beer latte on this visit. It was good and not sickly sweet, but a nice amount of sweet. 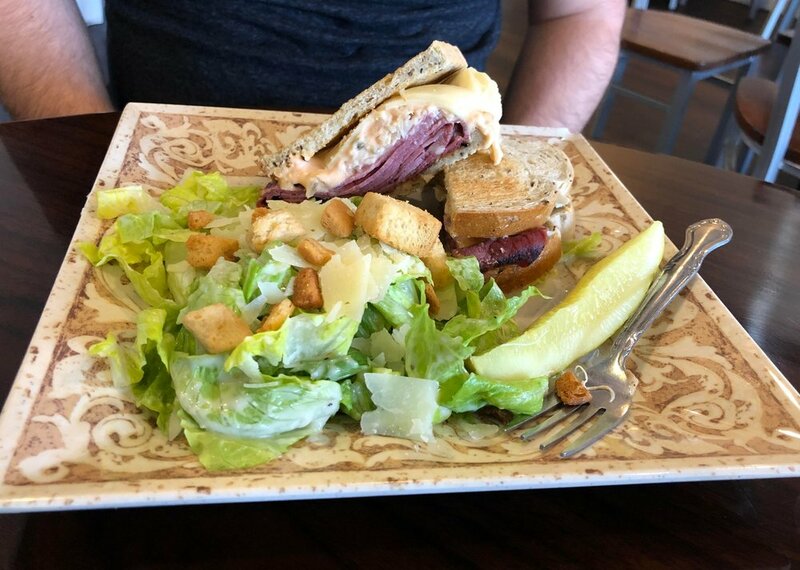 Christopher had the Reuben with a side caesar salad. He said it was good, but would probably try something different next time. I had the pretzel mill, turkey, bacon, spinach, provolone cheese, mayo on a pretzel bun. It comes with onion and tomato, but I’m not a fan, so I didn’t get them. I had a side of potato salad and it was good. I would get this again, but I am excited to try some of the other things. Things I am excited to try: heavenly honey ham sandwich, every waffle, egg sandwich, peanut butter crunch wrap. 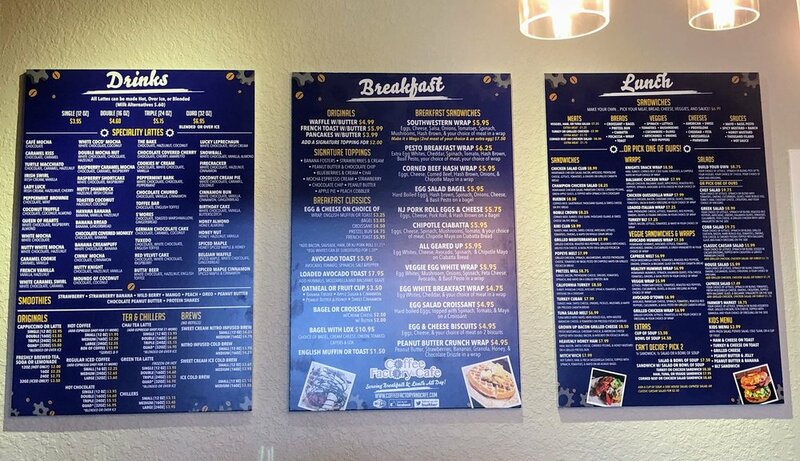 Check out their food menu and drink menu. We are excited to have this place so close to our neighborhood. Coffee is one of my very favorite things, and I have a feeling I might start craving the potato salad, not to mention my love of waffles runs deep. If you are in the Winter Springs area, make sure to check this place out.